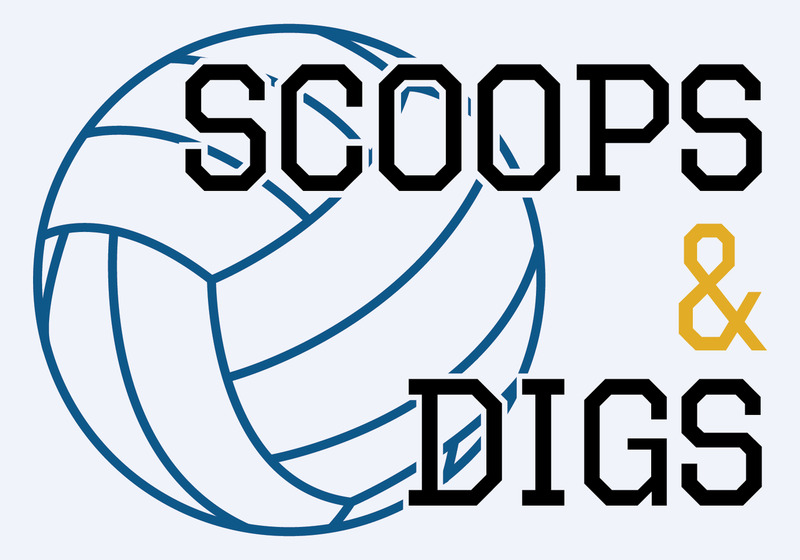 At the end of our last men’s volleyball Scoops and Digs, we raised a question of the team: how long will it take to find a new powerhouse who can fill in for graduated star players? It seems we’ve now got an answer: Michael Dowhaniuk. After suffering a winless two months, the men’s volleyball team finally banked two momentum-lifting weekends. During their latest two series against the University of Manitoba Bisons and the University of Saskatchewan Huskies, 18-year-old Dowhaniuk began to flourish in a leading role. Dowhaniuk made his first appearance as a Thunderbird in October at the season opener against Alberta — he has grown rapidly since then. Within less than two months, he has already become one of the top scorers on the team. In volleyball’s annual Pride Night match-up last Saturday, he led the group with 15 kills, not to mention his two aces and six digs. It’s not easy to become the centre of attention on a team where nearly half of the players are returning veterans from a national championship crew — but Dowhaniuk is no stranger to top-level play. 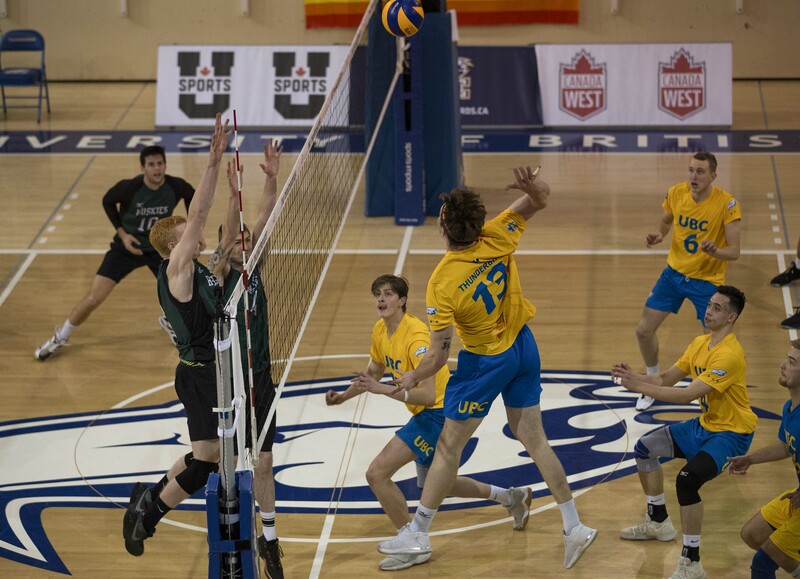 Before he came to UBC, he captained the Junior National team in the summer of 2018 to the bronze medal in the NORCECA Junior Continental Championships. He was also the recipient of the 2018 Ray Lepp Award, a scholarship awarded annually to one post-secondary male and female athlete who has the ability to compete for Canada at the national team level. Does this mean Dowhaniuk is fully qualified to take on the responsibility of carrying some of UBC’s offense, though? 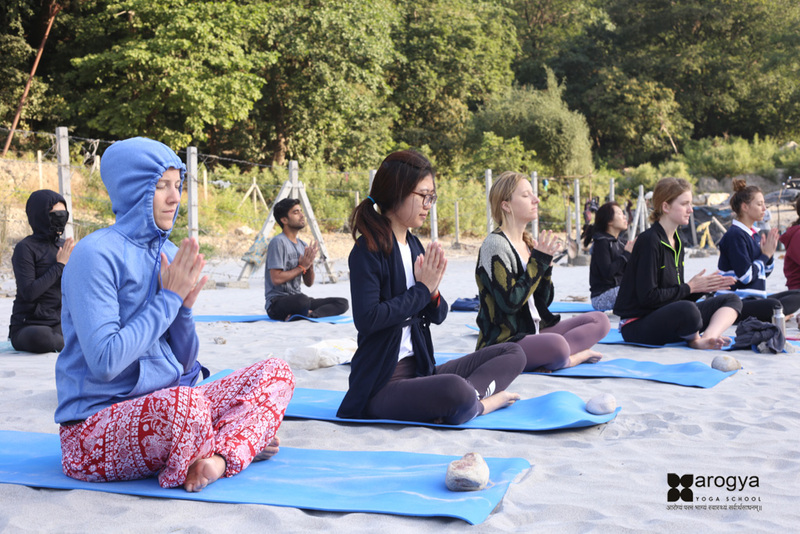 But, when it comes to collective sports like volleyball, being able to work collaboratively with your teammates and show consistency is as important as the initial pizazz. Dowhaniuk had a wonderful start to his T-Bird career. He was able to top the team in stats in his debut game against Alberta with 14 kills and three digs. As his journey has unfolded, veteran players like Coltyn Liu and Nick Mickelberry who have more experiences with their opponents as well as their teammates have started to best him. Dowhaniuk’s stats remained under double digits for nearly a month while his hitting percentage kept sitting below zero. It wasn't until November that he began to redeem his attack proficiency with tighter setter communication and fewer mistakes on the court. Dowhaniuk’s issues through the first half of the season perhaps represent the whole team's experience so far, in retrospect. As a roster with a lot of fresh faces, miscommunication on the court is unavoidable as the group resettles. On Pride Night, the Thunderbirds committed 29 errors in total — almost double the number of their opponents. 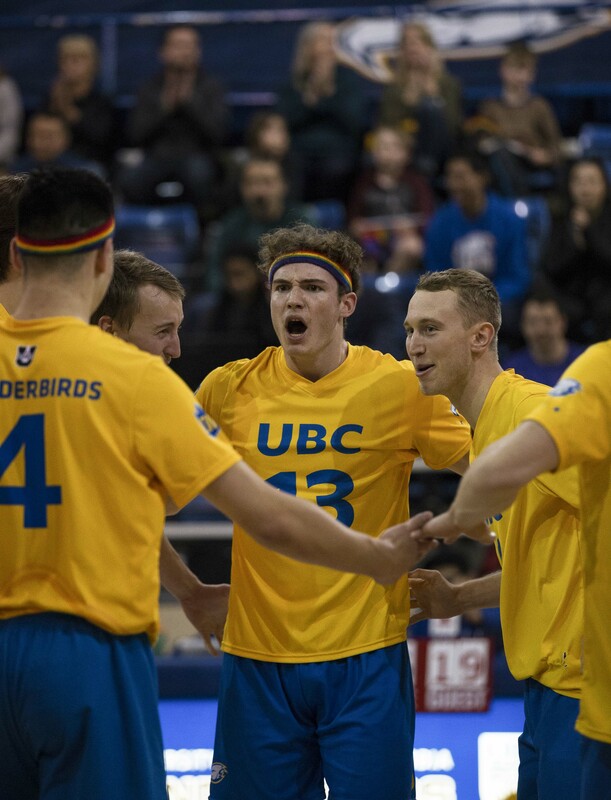 UBC doesn’t lack talented volleyball players, though — and they should impress once they settle into their new lineup. As Dowhaniuk is becoming the new points-leader on the team, the Thunderbirds’ starting line is seeing potential for a dynamic future. They just need to iron out the kinks.